It was quite a surprise when I openen the bottle of yellow tail sparkling the other day. When I peeled off the metal foil I discovered a whole new enclosure. Where I had expected metal, there was only plastic. 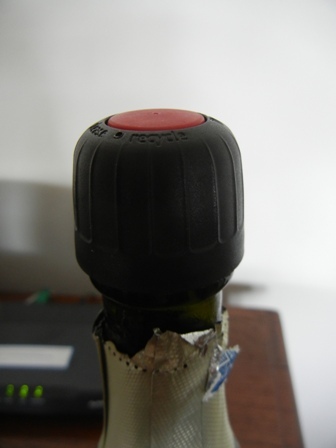 Moreover, the plastic top could be used to close the bottle after pouring the wine. Great, I thought, and kept the bottle top for future use. 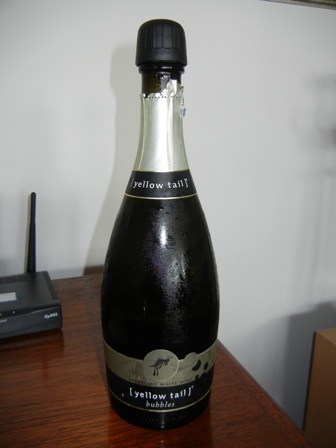 This sparkling wine by yellow tail is very fresh and fruity, a bit sweet as well, I would say. Nonetheless, I enjoyed the cold and bubbly liquid.